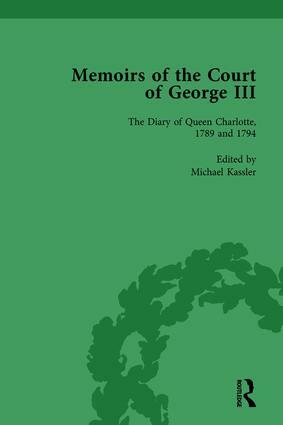 Queen Charlotte kept a diary in which she recorded her daily activities as well as those of George III and other members of the royal family. Only her volumes for 1789 and 1794 survive, in the Royal Archives at Windsor Castle. Her 1789 diary shows how the king’s illness and recovery impacted upon their lives. Both diary volumes provide hitherto unpublished information about court life and the royal family.